2 Chronicles 7:14 has been used for decades as a prayer model for the repentance and spiritual healing of a nation with zero effect. Ever wonder why? "IF I shut up the heavens so that there is no rain, or IF I command the locust to devour the land, or IF I send pestilence among My people"
So, first, we are dealing with hypotheticals. Second, notice that each of these hypotheticals deal strictly with the physical, not spiritual matters. The Full Answer: You cannot repent for any other sin except your own. If that were true, you could repent for your brother's sins and he'd be forgiven and saved, but you can't. Matthew 6:15 deals with this - the key words being "you" and "your". 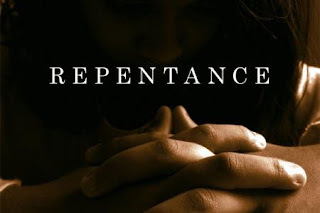 Both Daniel and Nehemiah 'confessed' the sins of the nation - Neh 1:5-7 and Dan 9:1-19 - but at no time did they attempt to repent for those sins because they understood that it can't be done. The Bottom Line: We can only repent for what we ourselves have done - what we ourselves are personally responsible for. We can pray that the Holy Spirit would convict others to do the same, but we cannot take responsibility for the sins of others, either past or present, and reconcile them to the Lord. In addition to this, as noted by Jim Croft of Derek Prince Ministries, "There is another reason: the promise pertained to the Jewish people while Solomon's Temple was functional. After Babylonian captivity and the destruction of that Temple a second was built under Ezra's leadership. Afterward, there's no evidence that the Jews presumed that national repentance would invoke the healing of their land. There's no further mention of the 2 Chronicles 7:14 concept for the next 500 years and into the NT era. There was high spiritual fervor and massive waves of national repentance through the ministries of John the Baptist, Jesus, and the Apostles. Yet the land was not healed and no prayers requesting such are found in the annuls of the NT. Just the opposite happened. The 2nd Temple was razed to the ground and 600K Jews were slaughtered with half that many deported into slavery. Out of context verse applications endanger good-faithed saints of disillusionment." Amen.